TumbleBook Library is a collection of nearly 1000 titles with content most appropriate for those in grades K-6. It includes animated talking picture books, chapter books, videos, non-fiction titles, playlists, books in languages other than English such as French and Spanish, graphic novels and math stories. This collection is rich in educational resources such as lesson plans, quizzes, educational games and puzzles related to both math and language skills. It also includes FREE common core portals: a K-5 English Common Core Portal and a Math Common Core Portal. LegalForms (Gale) gives GALILEO users access to a broad variety of legal forms, most specifically for Georgia. This database works in the library and with a public library GAILIEO password or PINES My Account login. 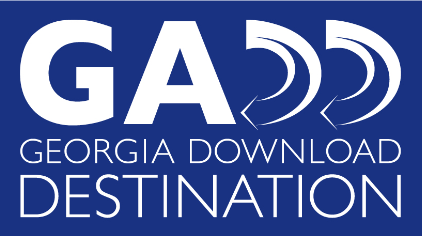 Georgia Download Destination enables you to download ebooks and audio books to your computer and mobile devices. Click here for help getting started. Funding for this service provided in part by the Houston County Friends of the Library. Mango is free for all library patrons and can be accessed anywhere with an Internet connection. Each lesson combines real life situations and audio from native speakers with simple, clear instructions. The courses are presented with an appreciation for cultural nuance and real-world application by focusing on the four key elements of language learning: vocabulary, pronunciation, grammar, and culture. Need to do some local research? The Houston Home Journal’s oldest archives have gone digital, along with other newspapers from around Georgia, all packed into an easy-to-use database. Enjoy free, unlimited access to interactive skill-building courses in math, reading and writing as well as a broad range of practice tests based on official exams such as the ACT, SAT, GED, ASVAB, Firefighter, Police Officer, Paramedic, U.S. Citizenship, Postal Worker, Cosmetology, Commercial Drivers License, Dental Assistant, Nursing School Entrance, and many more. Duolingo is the free science-based language education platform selected by Apple as iPhone App of the Year 2013, by Google as Best of the Best for Android 2013, and by TechCrunch as Best Education Startup. Learn vocabulary, languages, history, science, trivia and just about anything else.